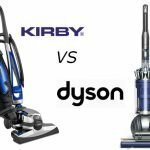 As with any Dyson vacuum review, acknowledgement must be given to the brand for its success in establishing itself as a major player in the vacuum cleaner industry in such a relatively short time. Dyson was founded in 1993, although it arguably began much earlier, when founder James Dyson first started tinkering with wheelbarrows and an old Hoover. 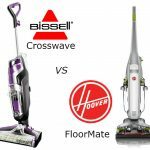 Since that time, it has managed to make its mark in several ways—not least in being the company to popularize cyclonic vacuum technology, or bag-free vacuuming. That’s a long way from playing with wheelbarrows and broken Hoovers. It’s gone through several stages, of course, that represent both growth and evolution. In evaluating the brand today, it’s necessary to look at its latest models instead of past ones. Below are three that represent it best at the moment, and which could be fine indicators of what direction the Dyson company is moving toward. 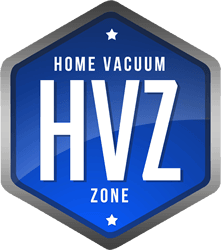 The V6 is touted as the most powerful of all the cordless vacuums nowadays. It uses a radial two-tier cyclonic array and a direct-drive as well as soft-roller cleaner head. It also comes with a mini motorized tool and a HEPA filter. Furthermore, its handle can be removed to convert the V6 Absolute into a handheld vacuum cleaner for easy handling during small jobs. Like the rest of Dyson’s offerings, this is somewhat upmarket in price. It costs $470, which means most buyers will expect a lot from it. These expectations should be weighed against several caveats though—ones that have to do with its cordless design. 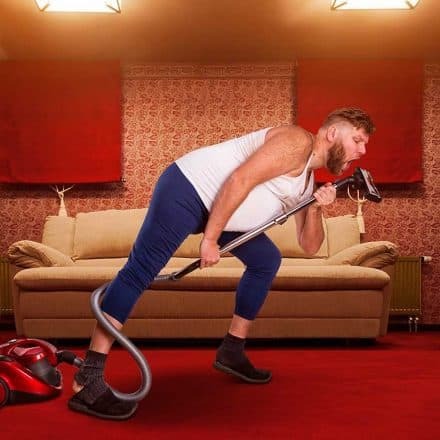 All cordless vacuum cleaners are necessarily hampered by the problem of battery life. Even the better batteries—like the Lithium-Ion one on this model—can hold only so much juice at one time. The V6 actually holds up better than many of its cordless competitors, posting as much as 20 minutes of use on one charge. Still, this makes it a bad vacuum to get if you need it for serious (as in “the entire house”) cleaning. It won’t handle that unless you have a very small house or maybe just a tiny apartment. But for everything else under that? It works quite well there. It’s truly powerful, as advertised, and does handle beautifully for a minimum of fuss. The two included cleaning heads work well too, although one does wish one of them were better at picking up fur. It’s rather light—the V6 series is made up of stick vacuums, after all—and is easy enough to carry upstairs if needed. It could use some things, like a better or extra battery pack, a low-battery power indicator, and a locking switch instead of a trigger for those continuous suction jobs. Still, overall, it’s a great product with some sound design in its conception. This upright from Dyson sports Radial Root Cyclone technology and a powerful brush bar. The head is also self-adjusting for combination floor usage and the product uses Dyson’s ball technology to make steering it easier than ever. 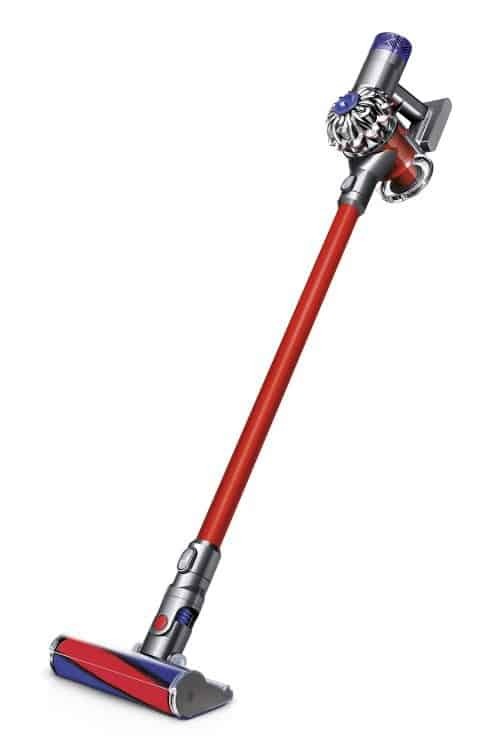 This Dyson costs about $500, so one does expect it to outperform the previous model somewhat. It may not be cordless, but it does give the V6 a run for its money in power. 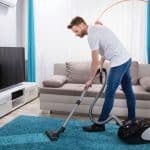 This is a full upright vacuum, which means that while it can take on little and medium-sized jobs, it will perform admirably during the big jobs, too. It’s not exactly lightweight (although it is still pretty slim for its power and weight, which is 18 lbs.). If you’re not carrying it up stairs, though, it’s an absolute joy to work. Steering is simple and very smooth and the automated adjustment of the head further eases the exercise. 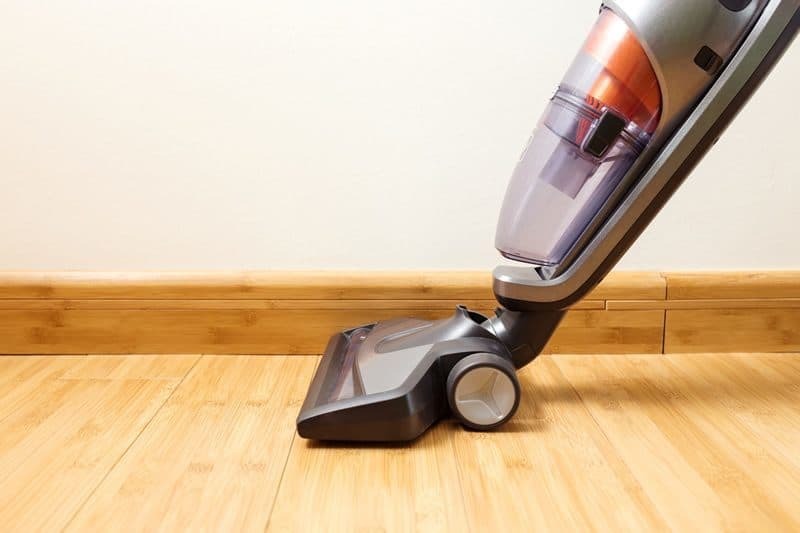 It’s nice not to have to constantly adjust your vacuum head if you have both carpeting and hardwood flooring to work on, so that’s a definite plus. On the whole, this is a very solid performer. 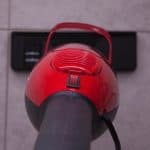 In exchange for $500, Dyson gives you a splendid cleaning machine with nary an issue besides its (potentially on the heavy side) weight and cost. Fitted with the latest in Dyson’s centrifugal filtering technology, the Cinetic produces centrifugal forces as high as 313,000G. This gives it unparalleled dust-filtering performance across the company’s offerings. It also allows it to go sans removable filters that need to be washed. This is a marvel of a machine. First, there’s the fact that the Cinetic technology precludes the need for removable/washable filters. Second, there’s the fact that the entire thing is capable of producing HEPA-level filtration. Then there are all the typical Dyson features, like ball movement technology, a self-adjusting head, tangle-proof turbine technology, and multiple tools for such tasks as allergen removal and small crevice cleaning. It’s not cheap as a result. In fact, it will set you back by as much as $545. It does merit that price overall, but there are still some nitpicks to be made. First, it could use a longer hose. Second, it could have a bigger dust bin. And finally, it could be easier to work on hardwood floors (the suction almost stiffens it against you here). Are these nitpicks enough to make it a bad buy? Definitely not. 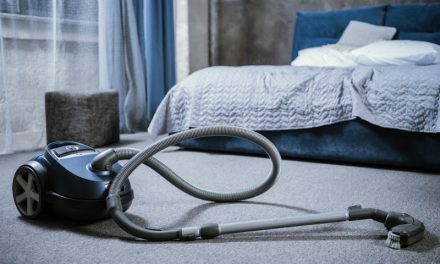 The solid conclusion for this vacuum is that it’s a great choice for those who want the latest and most powerful offerings, and who want to take advantage of the brand’s reputation and warranty (5 years) in their purchase. So what’s the conclusion from all these? 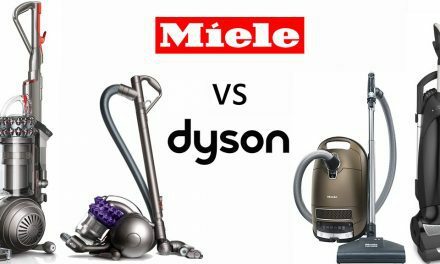 It’s clear that Dyson is working hard to maintain its position in the market, particularly with the advent of innovations such as its Cinetic technology and the V6 line’s continued development. 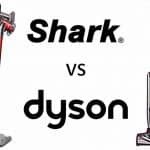 That work seems to be producing real results based on the solid performance of its latest models, which indicates that Dyson may well hold onto its position as one of the vacuum cleaner greats for some years to come.